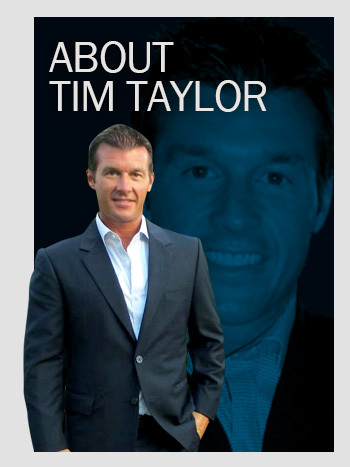 Tim Taylor retired a multi-millionaire… at the age of 39! Tim’s story starts off like most of ours. He was raised in Northeast Ohio (like me). After college he helped oversee a small manufacturing firm, and had a tremendous impact on their bottom line. Within six years, he helped grow their annual net profits from $400K to $3.2M. During his last three years of full-time employment, Tim also worked evenings and weekends in real estate investing. In 1998, he resigned from his job and made real estate investing his full-time career. Wherever Tim focuses, results quickly follow. By 2003, Tim personally owned more than 100 single-family rental properties and numerous multi-unit apartment complexes. During the previous five years, he had also bought, re-habbed and sold more than 200 homes. In 2004, he sold his properties, banked millions and headed down to Florida to enjoy the “easy life” that he had worked so hard to earn. Tim found an ideal home on a sandy white beach; the exact place he had always envisioned that would lead to happiness. Within three months, he was bored, feeling completely unfulfilled and was wondering what to do with the rest of his life. However, one habit – personal development – came to his rescue. Through prayer and meditation, Tim forged a deep connection with his Higher Power. Over time, he realized that he had been given talents, gifts and experience… and he needed to find a way to serve as many people as possible. This was the “Aha!” moment when Tim realized that God had been preparing him to coach, teach and inspire other people. Tim is the consummate learner. 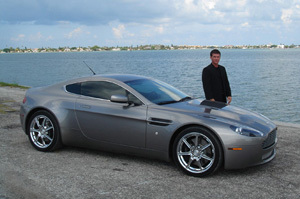 He has been mentored by Robert Kiyosaki, Robert Allen, and Ron Legrand. What separates Tim from any other Real Estate Investing “guru” is that he goes way beyond the “what to do” to create wealth; he helps his clients find true success, balance and happiness in all aspects of their lives. Tim helps others gets results; professionally and personally. He charged a client $15,000 for 3 days consulting. Within 2 years, the client grew from an annual income of only $118,000 to $782,000. He has helped two other clients work through self-esteem issues, re-invent their identity and prepare themselves for their success journey. When Tim looks in his backyard, he sees a swimming pool and dolphins playing in the Gulf of Mexico. When he opens the garage door, he chooses between a Jaguar and an Aston Martin. When he looks in the mirror, he sees a 42-inch chest and a 30-inch waist. When he looks at his bank statement, he sees seven figures… to the left of the decimal point. When he looks to the skies, he sees a benevolent, loving God who has guaranteed him eternal life. How many of us can say we are truly successful in all areas of life: financially, physically, emotionally and spiritually? Tim never preaches success; he simply lives an abundant life! As a coach myself, I’m fascinated with the life of Plato. He served as both a student (of Socrates) and a teacher (to Aristotle). He doubled the acceleration of his education by learning, doing… and teaching! My relationship with Tim Taylor is quite similar. 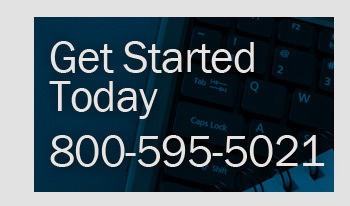 At first, I thought I was the “expert” in our business relationship. However, I quickly discovered that the “student” was also The Master! 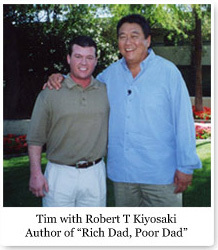 Tim began teaching me about diet, exercise, discipline and the power of focus. Together, we grew spiritually. Financially, I have prospered; creating even more opportunities for abundance and sharing. If you are fortunate enough to be taken under Tim’s tutelage, you will soon thank me for writing these words. You will find that I did not exaggerate, I did not mislead, nor have I embellished one aspect of his experience, successes, expertise and desire to help others. If you are serious about your professional – and personal – growth, do as I have done… find a way to work with Tim Taylor! Tim possesses a rare combination of loving, spiritual guide and in-your-face drill sergeant! He will take you through a process of true self discovery; shedding negative thought habits and replacing them with powerful, positive thinking. Tim will help you map out a successful life; whatever that looks like for you! Be forewarned: when you work with Tim, you will be held accountable for your daily actions. Success only comes from taking small, predictable steps toward accomplishment. Tim will show you shortcuts and help you develop valuable persuasion skills, but you will have to do the necessary work yourself. Tim will act as your mentor, coach, guide, confidante and friend. He defines success as “Building others, so they can build others.” He truly believes that his legacy will come through the successful, helpful, giving people he will leave behind. © 2019 Tim Taylor Real Estate Success Coach, LLC.